Actually, he really only meets Danny (Danny Bonaduce) from the family, and two hoods set on putting the fear of a mob boss into our little protagonist. 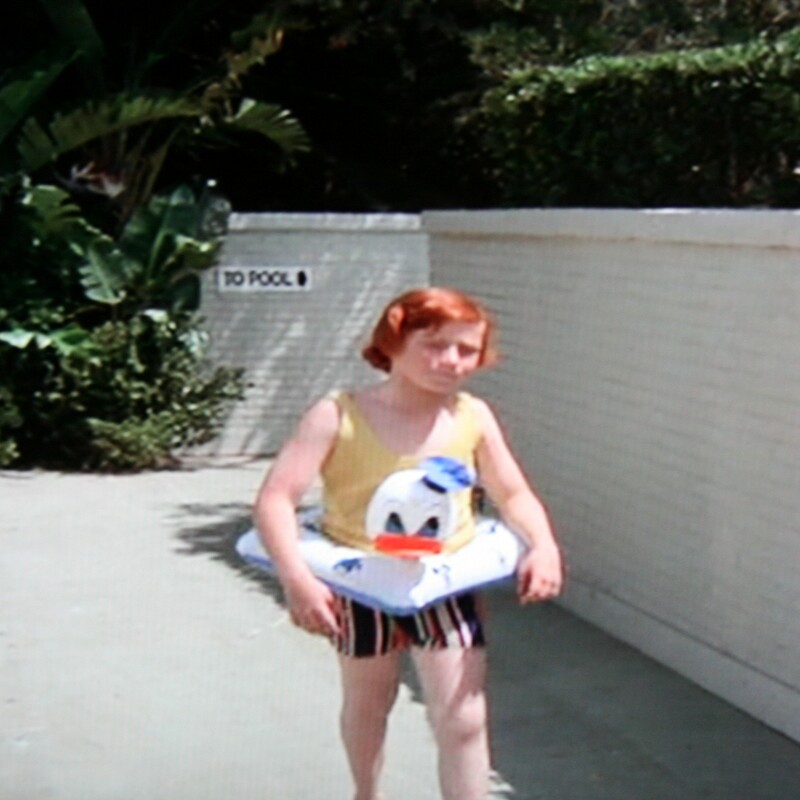 This week’s entry comes from the first season of the Partridge Family in episode 7 entitled Danny and the Mob (1970 airdate). 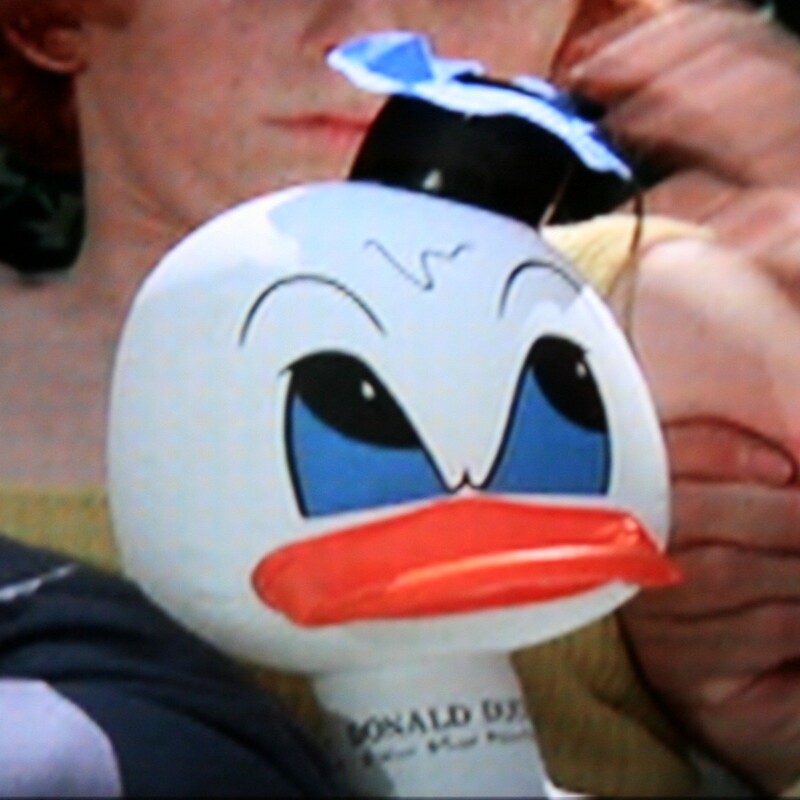 This is a great old Donald Duck inflatable that Danny wears during the scene. 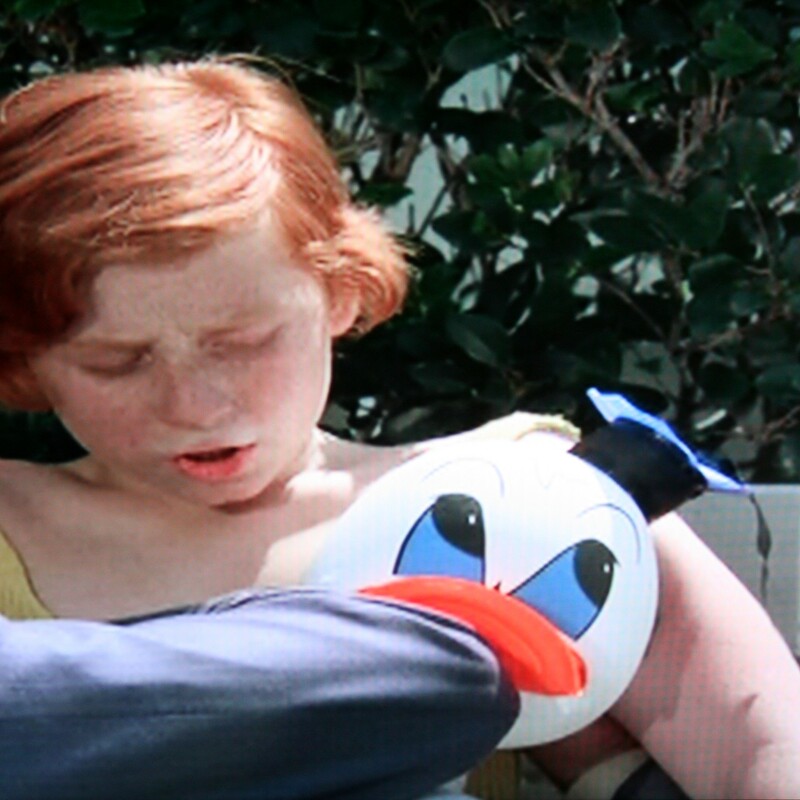 As you can see, Danny seems pretty care free at the moment, but Donald… not so much! And now I guess we can see why. While trying to intimidate Danny, the two hoods end up elbowing Donald in the face! Ouch. Again, it’s hard to make out, but I’m pretty sure it says ‘Walt Disney Productions’ under his name, which makes this a pre-1987 product. 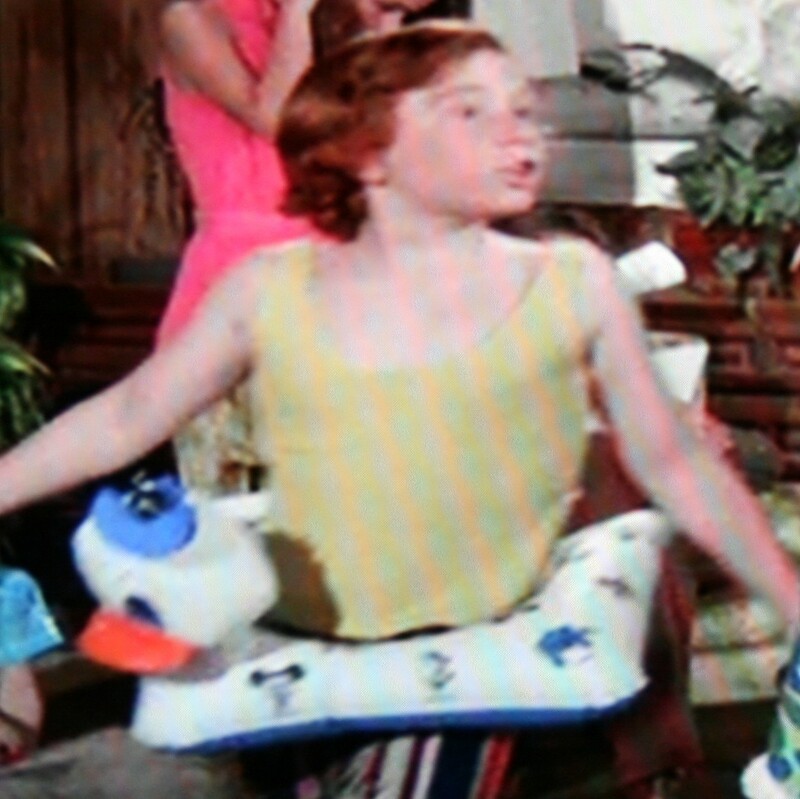 As the production company probably would have picked up props like this as new items, then it is probably from 1970, the date of the episode. For many families with daughters, Disney World is all about the DIsney princesses and the easiest way to ensure a meet and greet is to eat at Cinderella’s Royal Table. 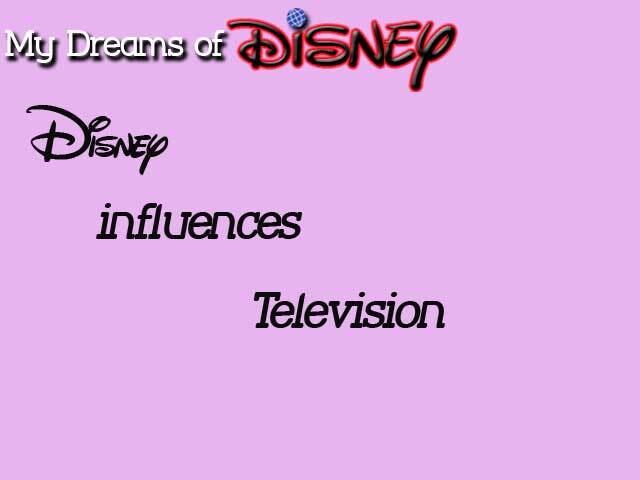 This is not the case for my daughters and I, for my girls, Disney World is all about Winnie the Pooh and friends. The best way to ensure a meet and greet with Pooh and friends is to have a meal at The Crystal Palace at the Magic Kingdom. Located at the end of Main Street USA, the Crystal Palace serves breakfast, lunch and dinner. All the meals are buffet style; I enjoy a buffet as I think many choices at a meal allows everyone to eat what they like. There is even a special section for kid-friendly foods (think chicken nuggets, macaroni and cheese and pizza) which ensures something for everyone. Of course no buffet would be complete without dessert and Crystal Palace certainly has tasty desserts. Beverages are served by your waitstaff. I can’t point to any specific food that was better than any other. What I remember most from all the times I have eaten there is how much my daughters and I look forward to visiting with Pooh and his friends. The typical cast of characters is Winnie the Pooh, Tigger, Piglet and Eeyore. While diners eat, Pooh and his friends travel around the restaurant (separately) stopping at each table to pose for pictures and sign autographs. We discovered the Crystal Palace by accident. On a trip with my mother and my daughters, we decided we wanted a “good” sit down lunch. We were walking by the Crystal Palace and noticed people standing by the door and walked over to check it out. When we heard that Winnie the Pooh and friends were “in there”, my daughters practically begged to eat there. As the wait was only about 15 minutes we waited. After 5 minutes, we were shown to our table and a new tradition began. If you decide to go to the Crystal Palace, I suggest booking an advance dining reservation. 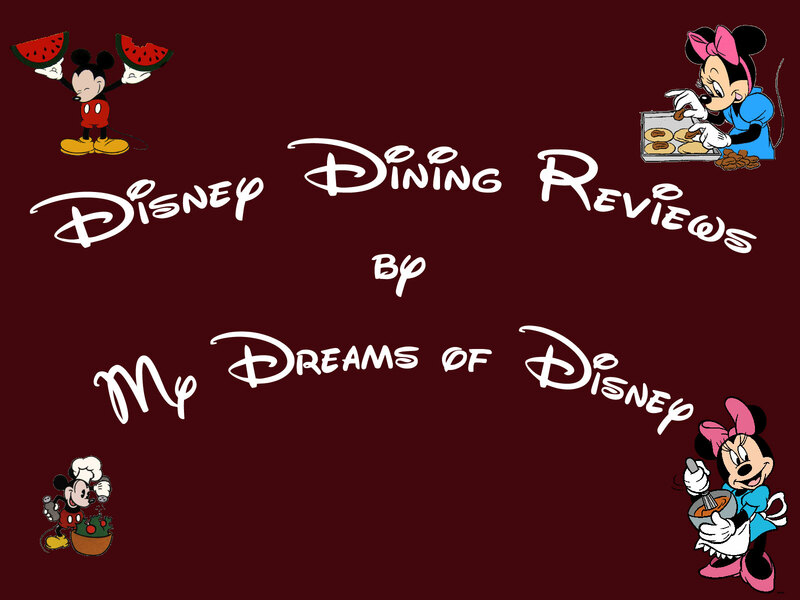 This restaurant is in the Disney Dining Plan so if you are using the dining plan, you will only be responsible for the tip; otherwise, expect to pay between $35 and $60 per person. (Prices can be confirmed via the Walt Disney World website). If you (or the kiddies) are Winnie the Pooh fans, this meal is worth the price!